Rooskens received a technical training and worked as an instrument maker in the 1930’s. 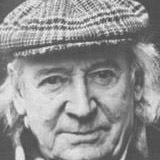 As a painter he was an autodidact. Influenced by Permeke and Van Gogh, he originally worked in an Expressionistic manner. 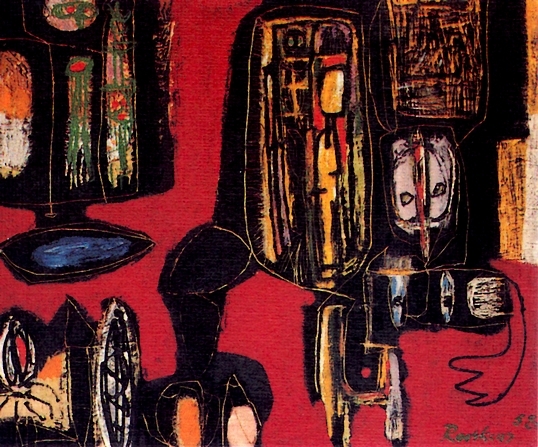 After the Second World War Rooskens developed an interest in African art and ancestral images from New Guinea and became interested in abstract forms. After his first visit to Paris, together with Boers and Gerrits, he met painters such as Karel Appel and Corneille, with whom, in 1948, he was to be one of the founders of the CoBrA movement. 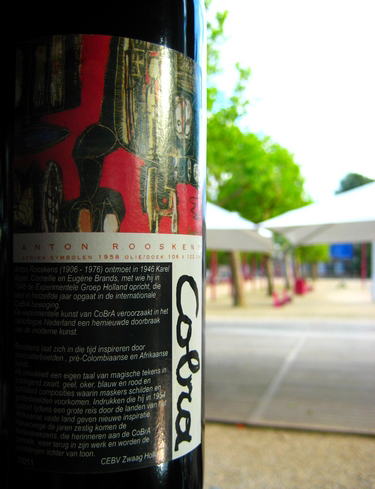 The painting "Africa Symbols" from 1958 is used as a winelabel for our housewines.